Auction Sales | Welcome to Strathfield's Most Recommended Agents! SOLD $451,000 over the reserve price! Strathfield home owners are buzzing with excitement. This past Saturday, November 8 the Richard Matthews team sold a humble three bedroom bungalow at 33 Mintaro Avenue, Strathfield $400,000 above the reserve price, with the hammer coming down at $1,700,000. The house attracted a swarm of keen home hunters, with over 120 groups inspecting the property and 35 contracts issued. On the big day there were 14 registered bidders, seven of which actively bid. Later that day the Richard Matthews team stunned a crowd of over 150 people when they sold the heritage listed house at 81 Homebush Road, Strathfield for $3,601,000 a stellar $451,000 over the reserve price. Built in 1893 the property is in need of updating throughout. The campaign was hugely successful with over 250 inspections and 12 contracts handed out. On Auction day there were seven registered bidders, four of which actively bid on the property. Selling? You deserve only the best. Contact Sydney’s most dynamic agents at Richard Matthews Real Estate. They are always on call and the results speak for themselves. 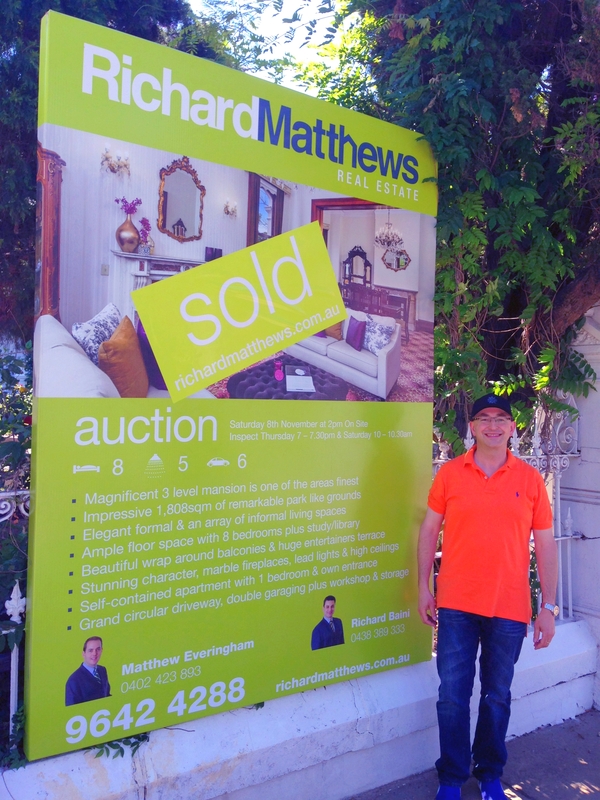 Visit www.richardmatthews.com.au or call 9642 4288 today to arrange your free appraisal.